The FreeMotion EPIC Shoulder F807 targets the shoulder and chest muscles. Unilateral arm movement allows the arms to move independently for single or dual upper body activities. Arms move in a converging axis pattern, providing natural movement and increased muscle concentration. Arms move independently for single or dual-arm exercises. Unique handle design allows for multiple grips for both standard and neutral press exercises. Featuring a 205 lb. weight stack with a 5 lb. drop-down increment weight, the FreeMotion® EPIC Shoulder delivers incredible versatility. 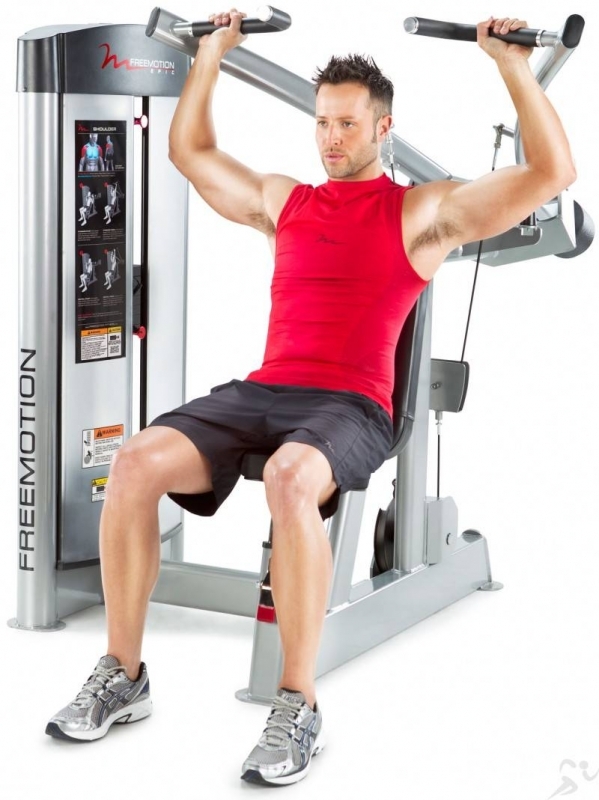 Order your FreeMotion EPIC Shoulder F807 from FitnessZone.com today!